If you can't stand waiting for things, the Mexican frontier is not the place for you. Security at small Mexican Airports was casual in 1974. 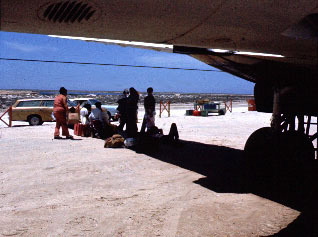 Passengers and their families wait in the shade of planes as they wait for their flight.